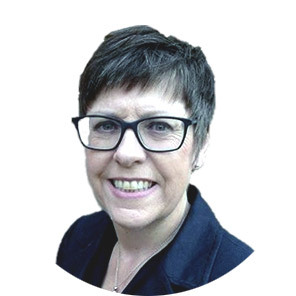 Julie is an experienced business coach with expertise and knowledge gained from continued professional development and from over 30 years of working directly with businesses and organisations. These have ranged in size from SME’s to international companies and crossed many sectors. Her experience in workforce development has also enabled her to build up an unrivalled network of contacts and specialist knowledge about sources of funding and support available to businesses across all sectors and sizes. Her specialist areas of expertise are; Coaching businesses who want to grow, Apprenticeships – Recruitment & the Apprenticeship Reforms/Levy, Training – Plan Development and Implementation, including sourcing cost effective training suppliers alongside operational HR management as well as experience in Grants & Funding – Searches & Applications. Julie started her career in 1985 helping young people to start up their own businesses. This led to a role setting up an enterprise agency in North Manchester and ultimately to becoming the Head of Enterprise for the Manchester Chamber of Commerce & Industry. Relocating to the East Midlands saw her join North Nottinghamshire TEC where she led an inward investment team and attracted ten major companies over a two-year period. From this point she undertook many sector and project management focused job roles for the Learning & Skills Council. This included managing a three-year flagship project with NHS East Midlands which led to the delivery of over 26,000 training interventions, including 1,700 apprenticeships. Julie then moved into training provider and employer relationship contract management for the Skills Funding Agency. During this period, she managed seven training provider contracts with a total contract value of £18M. Finally, Julie went full circle and returned to her roots, working for the East Midlands Chamber as a Business Development Adviser where she supported 250+ companies of all sizes to develop workforce development plans. Julie has now been trading as an independent business consultant for two years and is thoroughly enjoying putting her advice to prospective new businesses in to action!